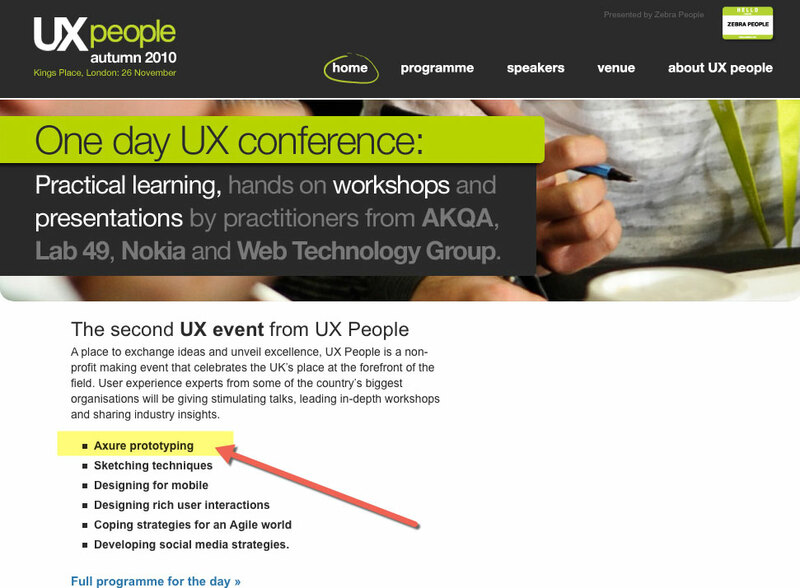 I was invited to speak at a one day conference for UX Practitioners in London. The event was sponsored by Zebra People. At the time I was a principal trainer and director of AXTrainers an Axure training company. In fact this was the first Axure approved training company in Europe. My experience of Axure was the reason I was asked to be a speaker and demonstrate the Axure RP Pro software to UX professionals. I delivered 2 sessions demonstrating the benefits of rapid application prototyping using Axure. During the presentation I built an interactive prototype (website) and demonstrated how to annotate the design so that the production of UX Specifications can be automated. Training materials and demonstration application prototype (Axure). Feedback from conference attendees was very positive.